Do you need a Will but struggle to get to us during the week? 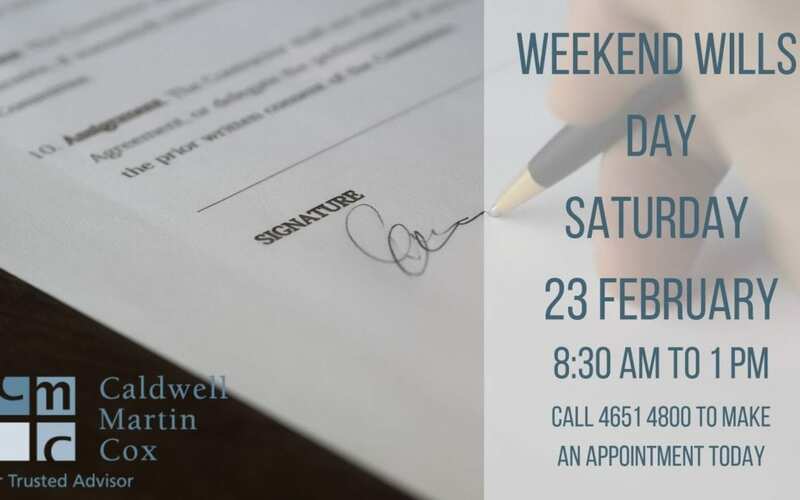 Fear no more as we’re open for business to assist you with your Estate Planning needs on Saturday, 23 February between 8.30am and 1pm at our office at 28 Hill Street, Camden. Appointments will need to be booked in advance by calling us on 4651 4800.